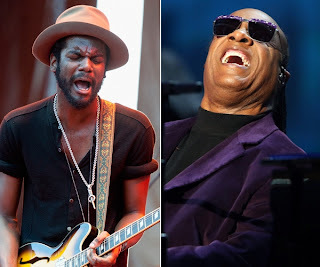 Stevie Wonder will join Gary Clark Jr. for a bash on Super Bowl weekend at the Bud Light Hotel in New Orleans. The soul legend and hotshot bluesman are teaming up for the February 2nd concert, with Wonder serving as headliner. Doors open at 8 p.m., and fans not headed to the big game can catch streaming performances on Myspace. The Saturday night show is preceded by the Rolling Stone LIVE party on February 1st at the Bud Light Hotel. It features performances by Pitbull and Flo Rida.